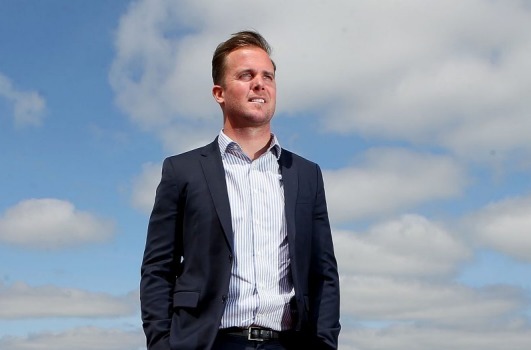 As the major banks turn their backs on developers, Financial Review Young Rich Lister and former Essendon footballer Andrew Welsh has turned to Hong Kong-based hedge fund OCP for a $70 million loan to fund a new house-and-land project in Melbourne. It’s the second time in the space of a year that Mr Welsh, who runs Welsh Group with his father Graham, has sought funding from OCP. OCP raises most of its money from US pension funds. The development financing is for Welsh Group’s Bowery Deanside community in Melbourne’s outer west, which comprises 400 lots plus an apartment site. Its 10 kilometres from Thornhill Park, a 1300-lot house-and-land estate at Rockbank, for which Welsh Group received $105 million of funding from OCP in February last year. Mr Welsh could not be reached for comment on the latest OCP deal. But he told The Australian Financial Review in February that it was difficult for all developers to secure commercial bank funding for greenfield development. “We are pleased to have found a funding partner that understands the ebbs and flows of development,” he said a year ago. Sales at Bowery Deanside, which sits within a recently approved new suburb, have already kicked off with the project expected to generate about $120 million in gross revenue. Dan Simmons, partner at OCP, told the Financial Review the banks had virtually stopped lending to developers with that situation unlikely to change any time soon. “We’re getting a lot of demand from developers for funding. We are happy to lend for both new apartments and in the house-and-land market, where there has been very good growth of late. “Our minimum loan size is about $60 to $70 million and we like to partner with developers with a good track record and the ability to scale up,” he said. To date OCP has provided a whopping $1.3 billion in development funding for residential, commercial and hotel projects on Australia’s east coast with past clients including major developers Metro Property Development and Nicholas Smedley’s Steller. OCP one of a growing list of non-bank lenders, local and offshore funds that have stepped in to fill the funding gap created by the major banks – albeit at much higher interest rates – who have dramatically decreased their lending on new residential projects in the last few years as they look to rebalance their lending books. The Financial Review’s Street Talk column reported last week that mezzanine financier Alceon had lent about $1 billion to mid-sized and large property developers over the past 18 months. Others active in the space include Goldman Sachs, Qualitas, Wingate and the Liberman family-backed Monark Property Partners.